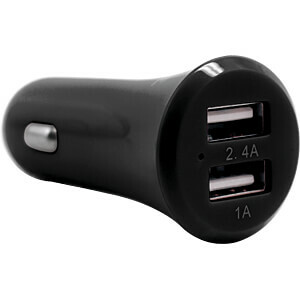 Charge two devices at the same time, quickly and safely in your car. 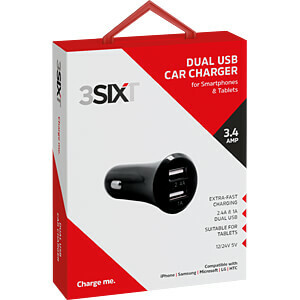 Whether you use it during long working days or longer car journeys, this charger is lightning-fast. 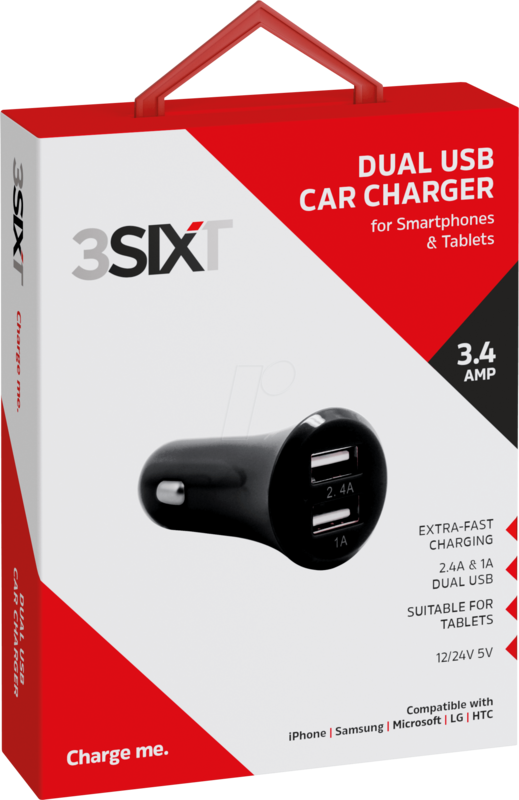 Simply connect the dual USB car charger to the accessory socket in your vehicle with your device-compatible charging and synchronization cable. 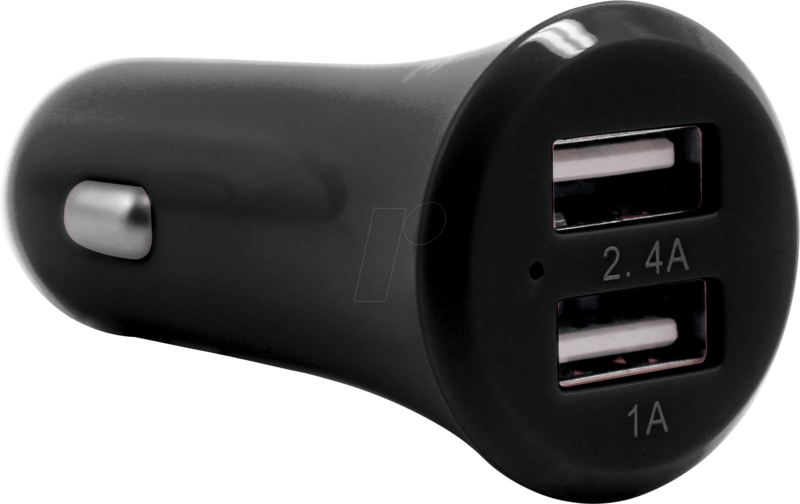 The slim, unobtrusive design fits perfectly in the centre console of your car.